Most Star Trek: Enterprise fans agree that the "Vulcan Trilogy" in season four is one of the best stories of the season, if not the series. There are, however, loose ends that some would like to have seen tied off. Did V'Las ever face a trial for his actions? Or did he escape to Romulus before judgment could be made and punishment carried out? In this episode of Warp Five, hosts Patrick Devlin and Brandi Jackola write a season five episode addressing the fate of the deposed Vulcan High Council Leader V'Las. 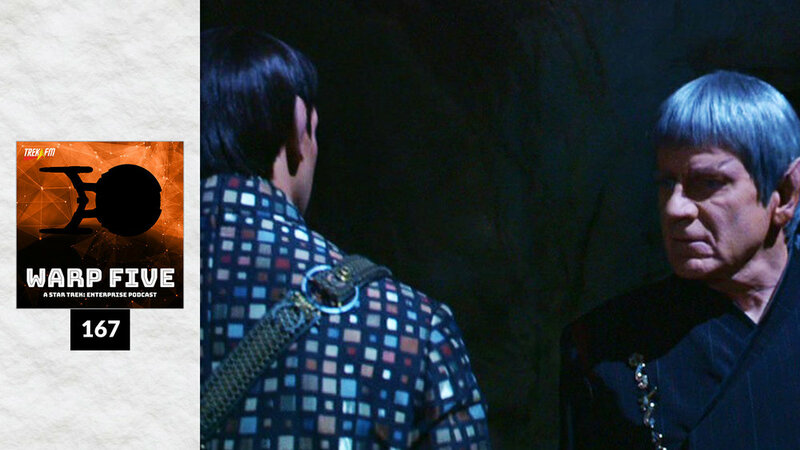 They discuss secret missions, undercover agents, Chaltok 4, the return of the Romulan drone, Chekov's Klingons, and how Shran determines that good torture was wasted on the wrong Vulcan.